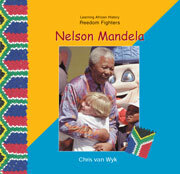 A brief biography of Nelson Mandela, describing his childhood and education, how he joined the ANC, his fight against apartheid, his imprisonment, and how he finally became the president of South Africa. 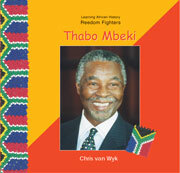 A brief biography of Thabo Mbeki, describing his childhood and education, his work with the ANC in Africa and abroad and how he became the president of South Africa. 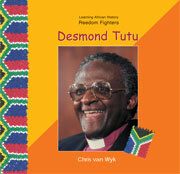 A brief biography of Desmond Tutu, describing his childhood, how he became first a teacher and then a priest, his work in England and his peaceful objection to apartheid for which he was awarded the Nobel Peace Prize. 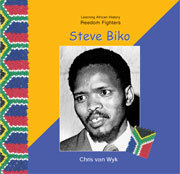 A brief biography of Steve Biko, describing his childhood and education, his fight against apartheid, his founding of the ‘black consciousness’ movement and his eventual death in jail. 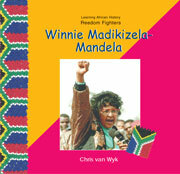 A brief biography of Winnie Madikizela-Mandela, describing her childhood and education, how she became a social worker, her marriage to Nelson Mandela, her life without him when he was imprisoned, and her political work. 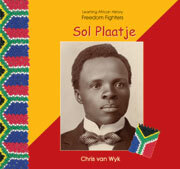 A brief biography of Sol Plaatje, describing his childhood and education, his work as a court interpreter and newspaper editor, how he helped to form the African National Congress, and how he became one of the leading fighters of his time for the freedom of his people. 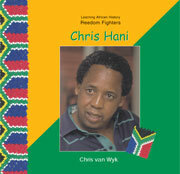 A brief biography of Chris Hani, describing his childhood and education, his work with the ANC and the South African Communist Party, and his eventual assassination. 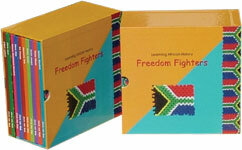 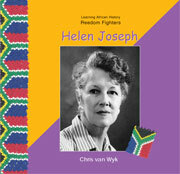 A brief biography of Helen Joseph, describing how she came to South Africa, her work and her fight against apartheid. 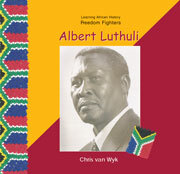 A brief biography of Albert Luthuli, describing his childhood and education, how he resigned from teaching to become a chief and his fight against apartheid for which he was awarded the Nobel Peace Prize. 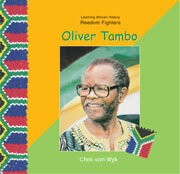 A brief biography of Oliver Tambo, describing his childhood and education, how he and others founded the ANC Youth League, his escape to Botswana and his political work in building the ANC in exile. 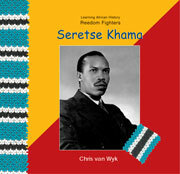 A brief biography of Seretse Khama, describing his childhood and education, his defiance of tradition by marrying a white woman, his exile in England and his return to become the first president of the newly independent Botswana.